1,000 Places to See Before You Die, 2nd Edition: Completely Revised and Updated with Over 200 New Entries (PDF) | Free eBooks Download - EBOOKEE! Posted on 2014-06-16, by supnatural. The world's bestselling travel book is back in a more informative, more experiential, more budget-friendly full-color edition. A #1 New York Times bestseller, 1,000 Places reinvented the idea of travel book as both wish list and practical guide. As Newsweek wrote, it "tells you what's beautiful, what's fun, and what's just unforgettable- everywhere on earth." And now the best is better. There are 600 full-color photographs. Over 200 entirely new entries, including visits to 28 countries like Lebanon, Croatia, Estonia, and Nicaragua, that were not in the original edition. There is an emphasis on experiences: an entry covers not just Positano or Ravello, but the full 30-mile stretch along the Amalfi Coast. Every entry from the original edition has been readdressed, rewritten, and made fuller, with more suggestions for places to stay, restaurants to visit, festivals to check out. And throughout, the book is more budget-conscious, starred restaurants and historic hotels such as the Ritz,but also moderately priced gems that don't compromise on atmosphere or charm. 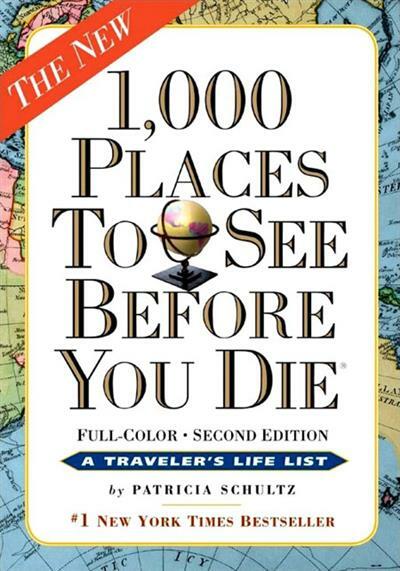 No comments for "1,000 Places to See Before You Die, 2nd Edition: Completely Revised and Updated with Over 200 New Entries (PDF)".